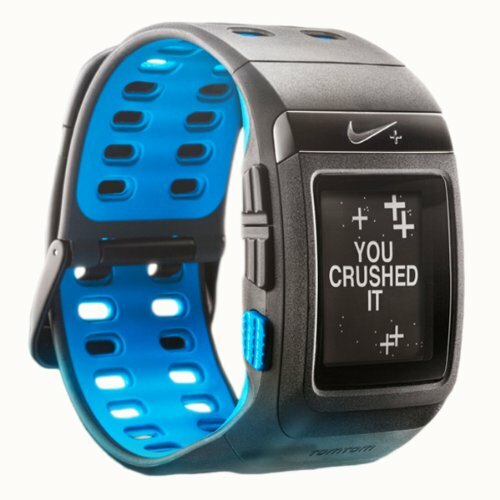 What is the Nike+ SportWatch GPS? Combining Nike’s understanding of the athlete with the GPS expertise of TomTom, Nike+ SportWatch GPS is a game changer for runners. Nike+ SportWatch GPS powered by TomTom uses both GPS technology and the Nike+ shoe sensor (sold separately) to capture every step of your run. Runners can then upload their data to the nikeplus.com website, where new mapping features allow them to see their runs and find popular routes, track their goals, receive coaching tips, challenge friends, and share their progress through Facebook and Twitter. 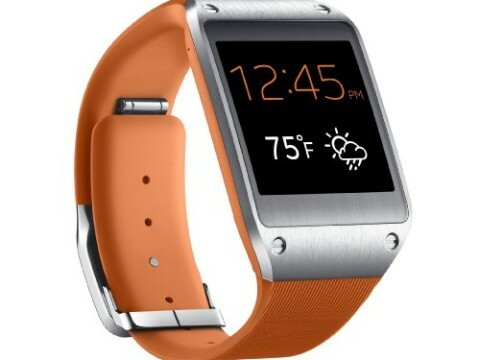 Tracks your time, distance, pace, heart rate and calories burned. Personalize the data that you want to see during your run. Battery life: 8 hours of run time with GPS and sensor turned on. Standby for up to 50 days. 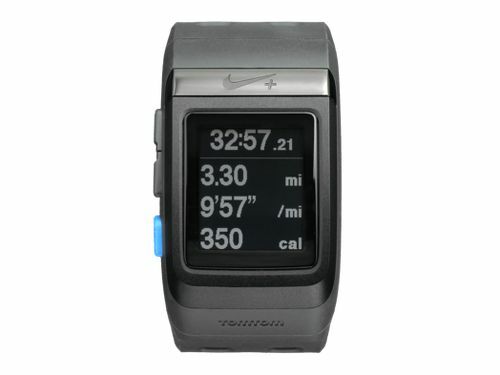 GPS and the Nike+ sensor combine to give you accurate info -­-­ indoors or out -­-­ without the wait. Using the Nike+ sensor (sold separately), you can start a run without having a GPS signal. Also, if you’re running outdoors in an urban canyon or tunnel where the GPS signal is obstructed, the Nike+ sensor kicks in for seamless data tracking. Personal Coach: Reminds you to run, stores your Nike+ run history, and remembers your PRs. Set up the type of program you want based on your experience level, event distance and how frequently you are able to run each week. Nike+ Coach will track your individual runs via graphs, allowing you to compare your times and better understand the trends in your overall performance. You’ll also get tips and advice to ensure you’re training properly. Stopwatch: You can start, stop, pause and mark up to 50 laps by tapping the screen. Once you are done, you can review your total time, best lap time, average lap time or individual lap times. 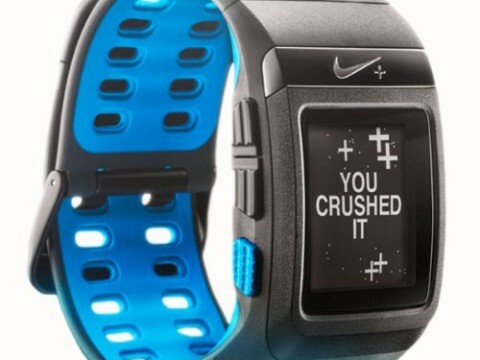 This data is stored on your watch until you rest it and will not be uploaded to nikeplus.com. Alarm: You can set an alarm on your watch. 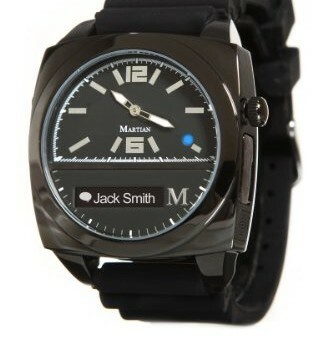 When the alarm is set there is a visual indication on the watch face. 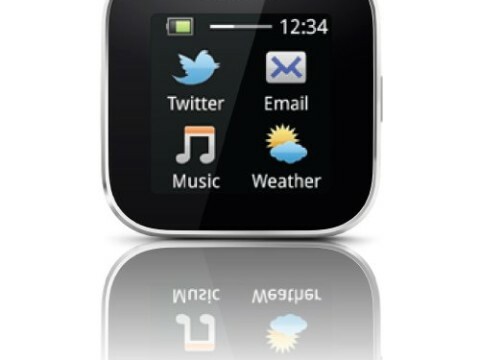 Time Set: The time of day or date can be set on the watch without needing to plug it in and use Nike+ Connect. Pace/Speed: Runners can now choose between displaying pace and displaying speed on the watch. Laps: The sensitivity of the tap feature has been improved so that users can confidently get a tap when they want, and not when they don't. 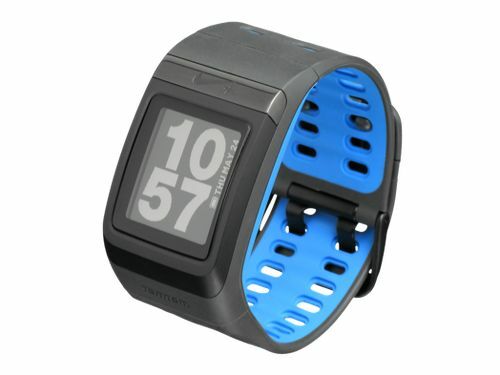 Tracks your time, distance, pace, heart rate and calories burned. 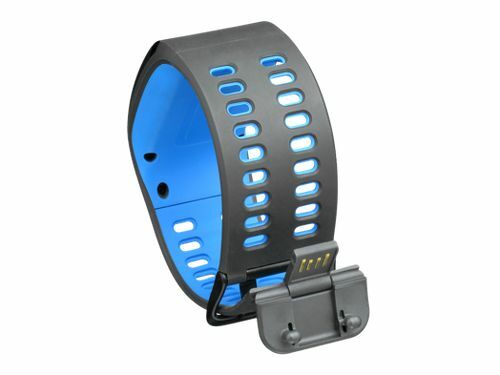 Nike+ SportWatch GPS works with the Polar Wearlink Transmitter to track your beats per minute. Inverted Screen: The screen can be inverted to display black text on a white background for those runners that prefer it. Favorite Metric: Runners can choose between displaying lap time or a different favorite metric when in auto or manual laps mode. Auto-Looping Metrics: In addition to pushing the buttons to scroll through secondary metrics, runners have the option for their metrics auto-­loop.